The cloud has engulfed many a business application over the past few years. Companies are developing more confidence in vacating the premises and migrating to a place where they believe their processes can be managed with greater flexibility, less expensively and, yes, just as securely as on the ground. 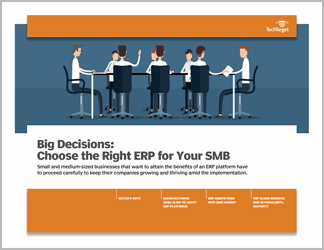 However, ERP processes have been among the laggards in cloud migration, and for good reason. Many CFOs have had concerns about compliance, security, data access, moving legacy data to a new platform and immature financial capabilities in cloud systems. But CFO resistance is softening as some of these long-time barriers to cloud adoption are now some of the principal drivers encouraging CFOs to embrace ERP in the cloud. 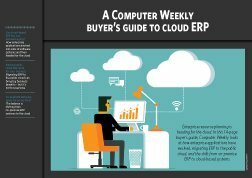 A Gartner survey shows that 47% of responding organizations plan to move core ERP systems to the cloud within the next few years. This handbook examines the benefits and disadvantages of doing just that. 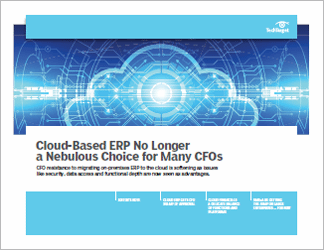 In the first feature, writer Beth Stackpole reports that CFOs confronted with the limitations of on-premises ERP are being drawn in by the new capabilities of ERP in the cloud platforms, including analytics, performance dashboards, more sophisticated planning and modeling, and support for mobility. In the second feature, writer Alan Joch points out that newer, more agile companies migrating financials to the cloud can gain an advantage over established companies whose highly customized premises ERP systems, once considered leading edge, are quickly turning into legacy systems. And in the third feature, Joch talks with CFOs who explain why cloud financials became a solid choice after outgrowing their old systems and overcoming concerns about cloud security, data access and functional depth.